“I want to help my patients with their medical and emotional needs as they go through their journey.” Dr. Singh is able to do that having completed a fellowship in hematology at Washington Hospital Center, another in oncology at The Ohio State University, and five board certifications. As an oncologist and hematologist, Dr. Daljeet Singh believes in the power of helping patients. Dr. Singh attended medical school in New Delhi, India and later completed his residency at the VA Medical Center, Dayton. He finished his fellowship in hematology at Washington Hospital Center and another fellowship in oncology at The Ohio State University. He is board certified in internal medicine, medical oncology, hematology, and palliative medicine and hospice. He is a member of several organizations and committees, including the American Society of Clinical Oncology, the American Society of Hematology, Clark County Medical Society, Ohio Hematology and Oncology Care and the Ohio State Medical Association. He also serves on the cancer committee at Springfield Regional Medical Center. In his spare time, Dr. Singh enjoys traveling and playing golf. 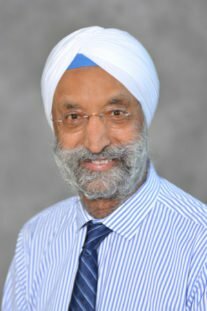 As a member of our OHC physician team, Dr. Singh has full access to the OHC Clinical Trial research program. When I was going through chemo, I would see Dr. Singh walking the floor. He'd already written his 'recipe' and the nurses and technicians were carrying it out. There was no real reason for him to be out there. He was there anyway. That's the difference. Yes, he's a physician but most importantly he's a healer. That simple act makes a difference. Dr Singh took care of my mom and got her through breast cancer in 1994. She developed lung cancer in 2014 and sadly lost the battle. Dr Singh did everything possible for her and was there emotionally when we knew the battle was lost. He is the BEST!!! I only had to go to him once but I remember how kind he was - and he was a friend’s doctor who saw her through many years of her cancer fight. She thought the world of Dr Singh.